On 13th of June 2018 the Czech public TV company CT1 had broadcasted a documentary film about autopathy. 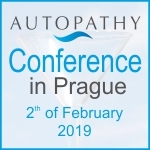 The film contains interviews with people who have used autopathy as well as with autopathy consultants and deals with principles on which autopathy is based. The film can be viewed in the CT1 archive – only in Czech language and in Czech region.